methods, techniques and directions of adaptation of the post-industrial territories to the present-day city. The article studies the case of renovation of the facilities of the former distillery in Ulan-Ude and their revitalization and transformation into the Center of Modern Art. MAKOTINA, Svetlana. 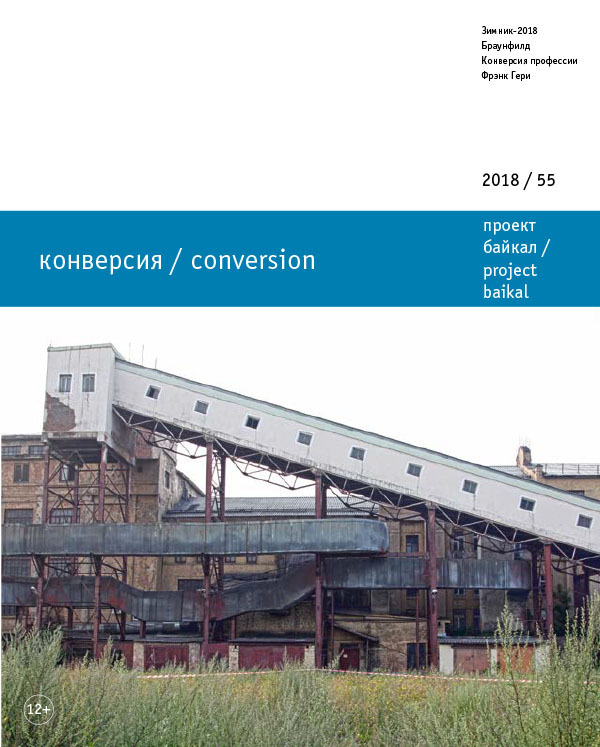 Renovation as a Method of Preservation and Improvement of the Architectural Space in the City: a Case Study of the Territory of the Former Distillery in Ulan-Ude. project baikal, Russian Federation, n. 55, p. 52-57, apr. 2018. ISSN 2309-3072. Available at: <http://projectbaikal.com/index.php/pb/article/view/1282>. Date accessed: 26 apr. 2019. doi: https://doi.org/10.7480/projectbaikal.55.1282.